In 2011, we looked for a way to better control the consistent output of high quality grapes shipped and delivered to our customers. 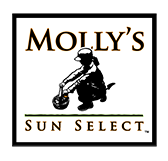 A few years later, the Molly’s Sun Select brand has become a staple in the industry. Being family owned and operated, we take a special pride in the quality of the fruit and service we provide. Our partnerships are created only with growers who guarantee the same quality and effort that our staff delivers in selling and marketing these great products. Molly’s strives to produce both the product and the experience today’s consumer is looking for. To meet the standard expected by Molly’s Sun Select, fruit packed in the Molly’s handle bag, clamshell or box is the best fruit that each grower has to offer. Not only does Molly’s select top-tier growers, but only the best fruit from each block. This ensures consistency from season to season and from region to region. Additionally, Molly’s versatile operation allows for a fully customizable portfolio of pack styles as well as many specialty varieties. 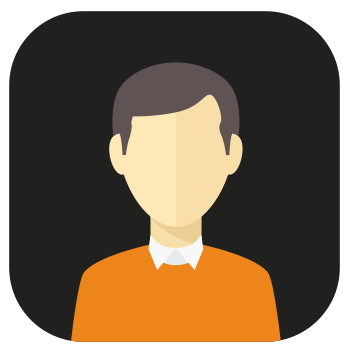 Our knowledge of the industry, backing by Superior Sales, Inc., personal touch and exceptional service allows us to meet the needs of any retail/wholesaler while still providing the product and experience the consumer expects. Brian began working in produce in the mid-1980s while working for a local VG’s grocery store. After becoming produce manager, Brian moved to the broker/distribution side of the industry working for Tom Lange and Buyer’s Services until the early 2000s. Then after about ten years with Superior Sales, Brian developed a new brand in conjunction with Superior, called Molly’s Sun Select. Molly’s ships a full line of California citrus, stone fruit and table grapes, in addition to Mexican and Chilean table grapes. Brian and his wife Kim have 3 children; Jaxon (the oldest), Molly, and Brady (the youngest). They reside in Saline, Michigan and are active in the church, school and youth athletics. Soon after leaving Tom Lange, Brian brought Mike into the company to assist in sales and manage freight logistics. Mike continued his work with Superior and coordinates the transportation for Molly’s and all other fresh produce distribution. Mike and his wife Tracie (Kim’s Sister) have 3 children; Carson (the oldest), Michela and Corbin (Twins). They reside in Ypsilanti, Michigan and are, also, active in the church, school and youth athletics. Mike is a huge University of Michigan fan and football season ticket holder. In 2011, Brian brought Todd into the company to use his diverse set of skills to fill many roles. Todd has B.A. in Political Science & Business from Calvin College (MI), and a J.D. from Marquette University Law School (WI). Just two days after being admitted to the Wisconsin State Bar, Todd began his employment birddogging and selling produce. Over his tenure, he has split time working in the Central Valley of California and Nogales, Arizona. He currently resides in Scottsdale, Arizona while frequently traveling throughout the growing regions.